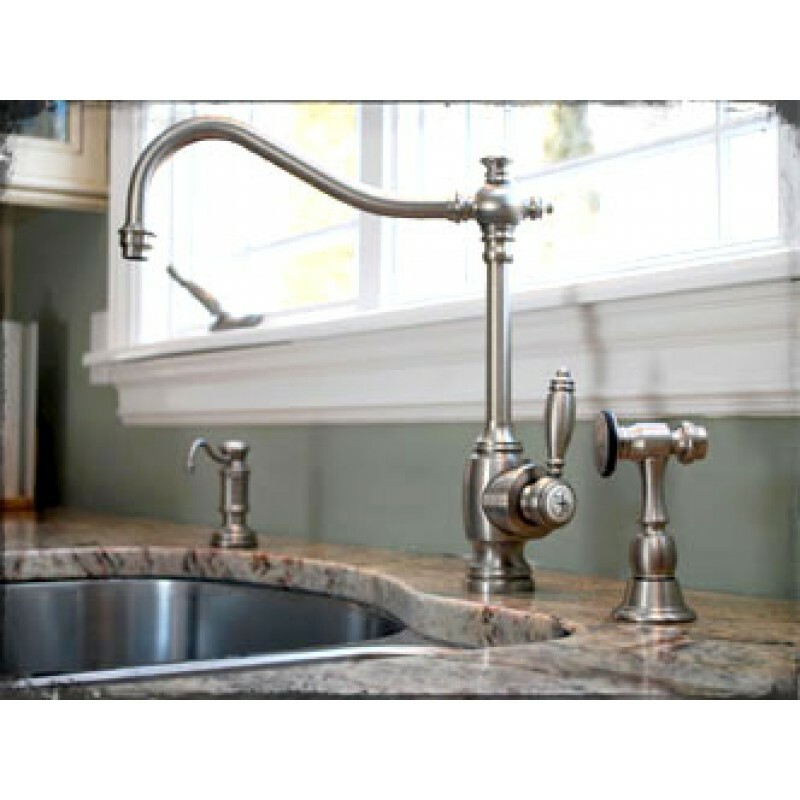 Annapolis Single Handle Kitchen Faucet. I have one of these in our kitchen. 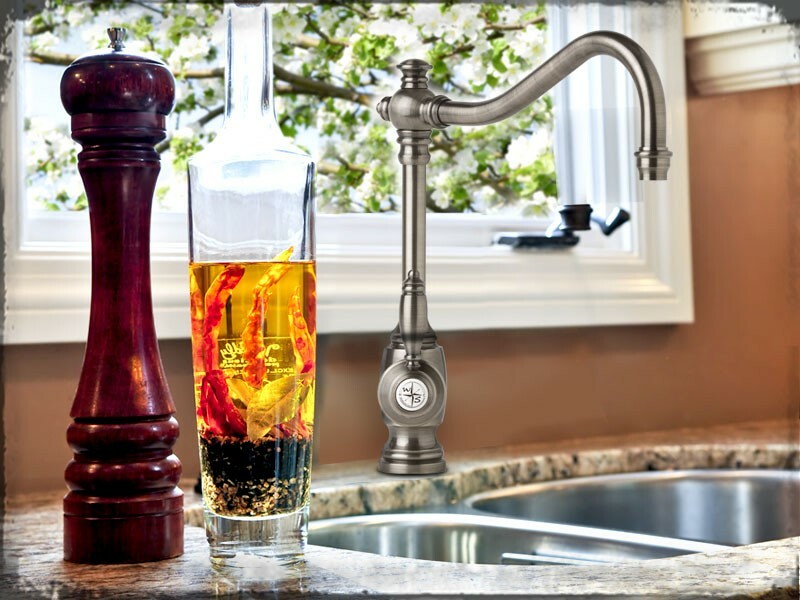 WOW - what a great faucet and a thing of beauty. We have the brushed nickel finish on our copper sink. They look great together. What amazed me so much was the additional water flow through this faucet in comparison with the one we replaced. The side spray is also designed perfectly. The spray pattern is "right on". We thought we had a great faucet before (a Harrington Brass). This one blows it away! 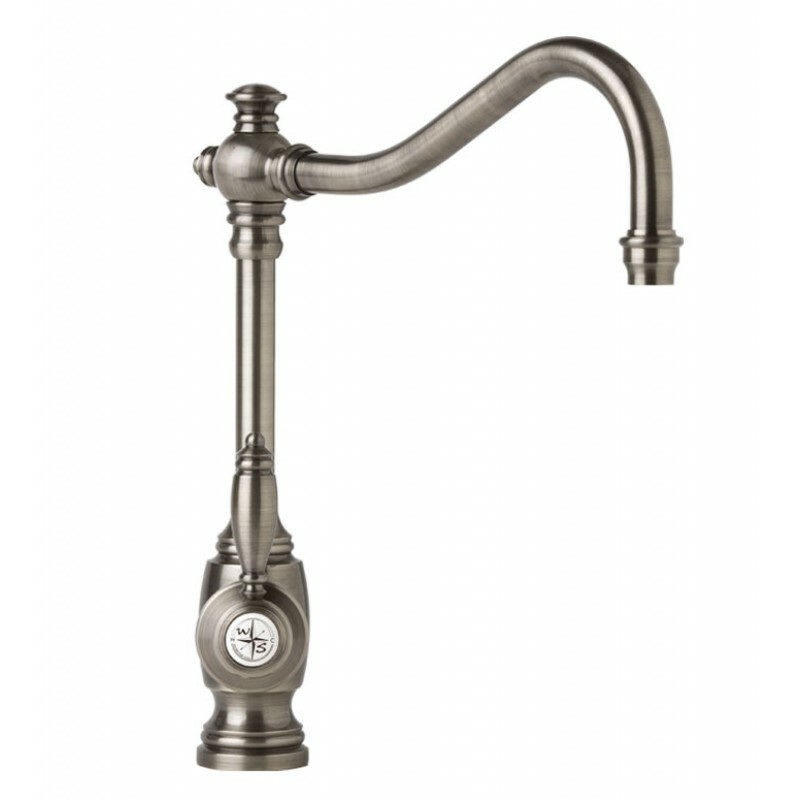 I should also mention that the spout is nice and tall and has a fantastic reach. 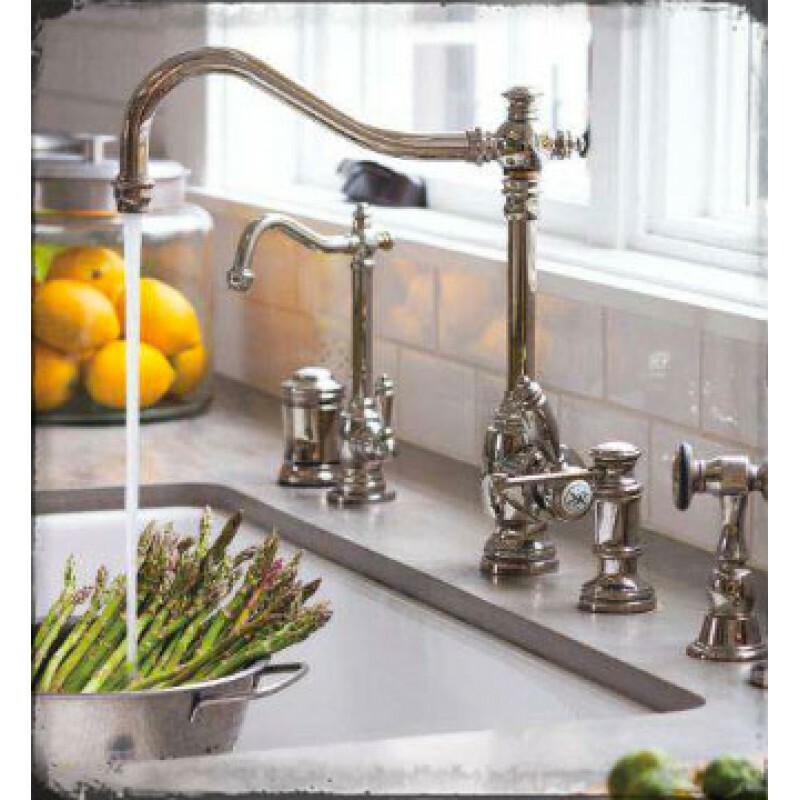 Most faucets with similar designs do not have a long reach like this. The faucet swivels 360 degrees. Some on the market do not swivel at all. The handle can be mounted on the right. left or front. It is even adjustable so you can keep it from hitting a window ledge if you decide to mount the handle on the side. They thought of everything! (10 ½” reach) with built-in diverter for connection to optional side spray. Solid brass construction. Faucet can be mounted with handle in front, right or left hand positions. Handle adjusts for clearance from backsplash. Three decorative handle caps included.